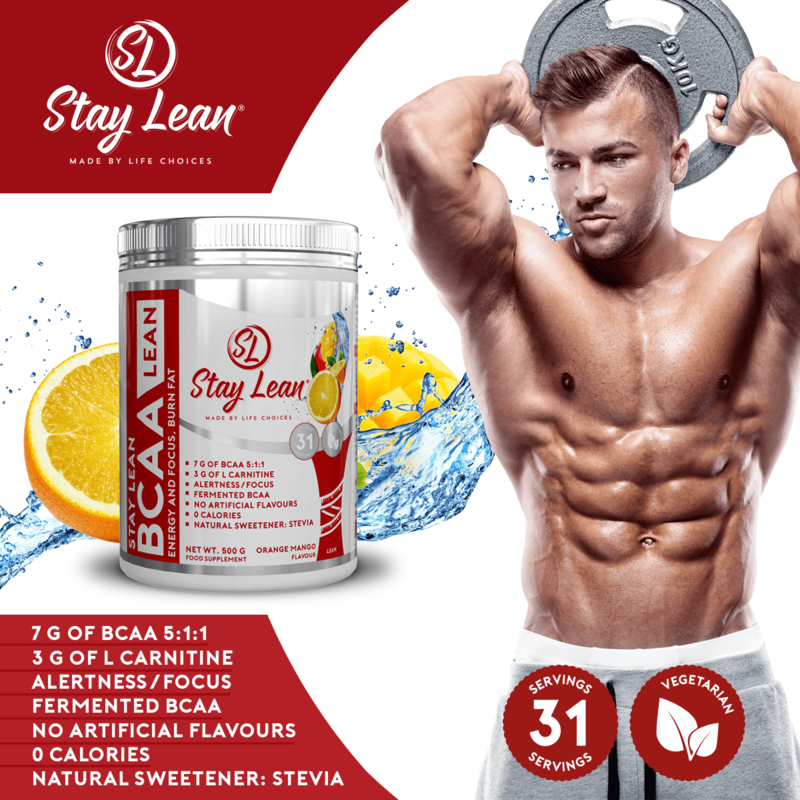 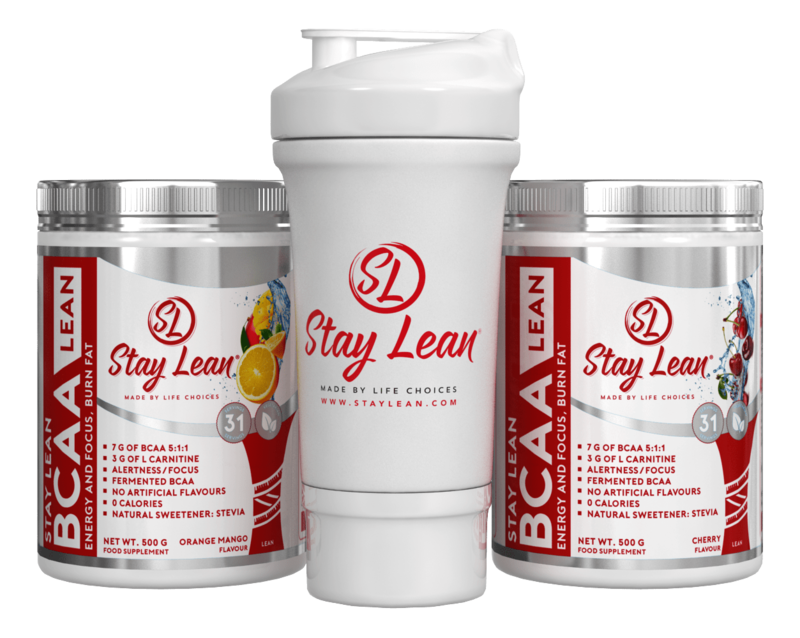 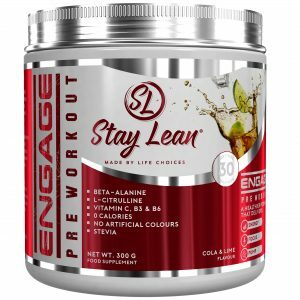 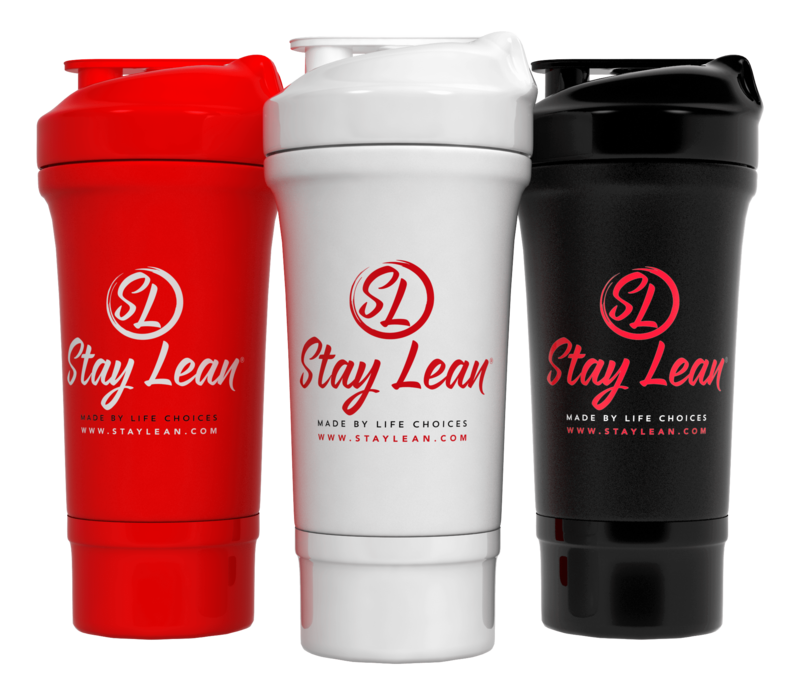 A choice of any two flavours of Stay Lean BCAA Lean or All Day along with a Stay Lean Shaker. 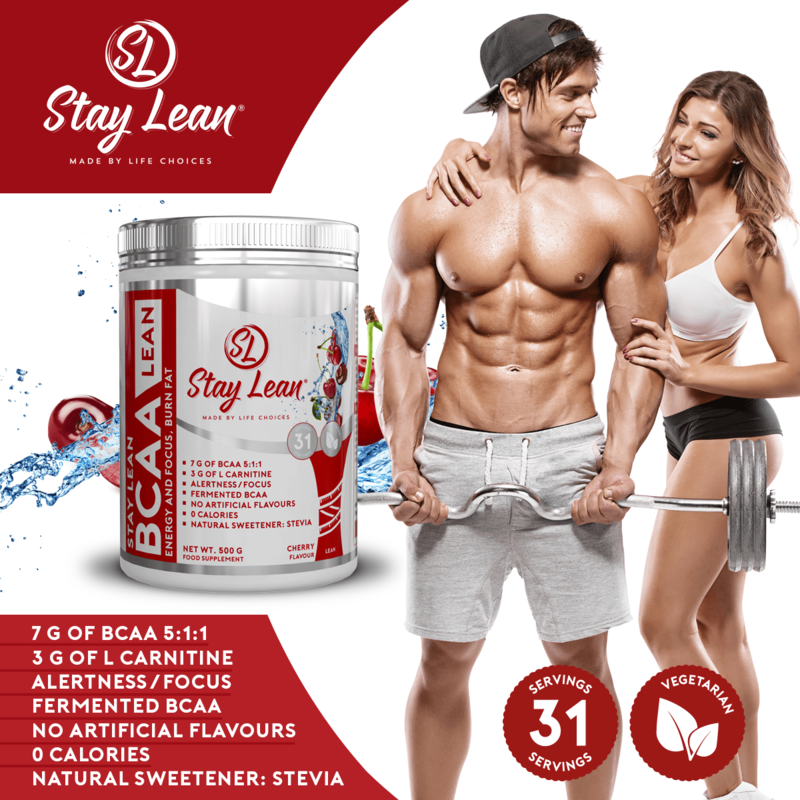 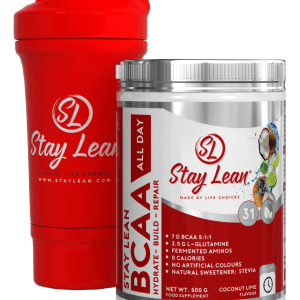 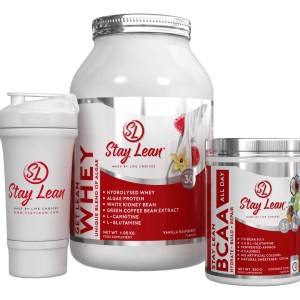 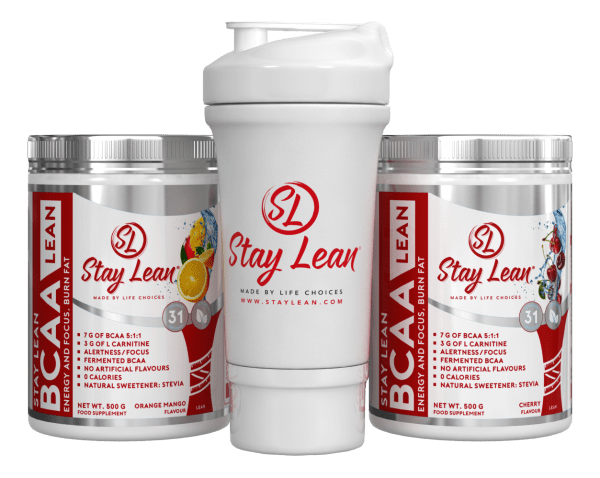 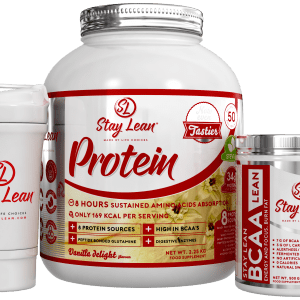 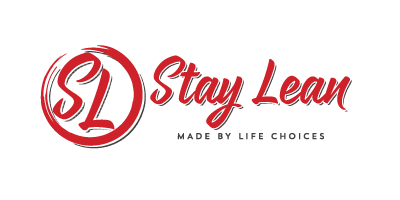 Stay Lean’s BCAA powder boasts leucine, isoleucine and valine in an impressive 5:1:1 ratio, bringing you the strongest blend of fermented BCAAs on the market today. 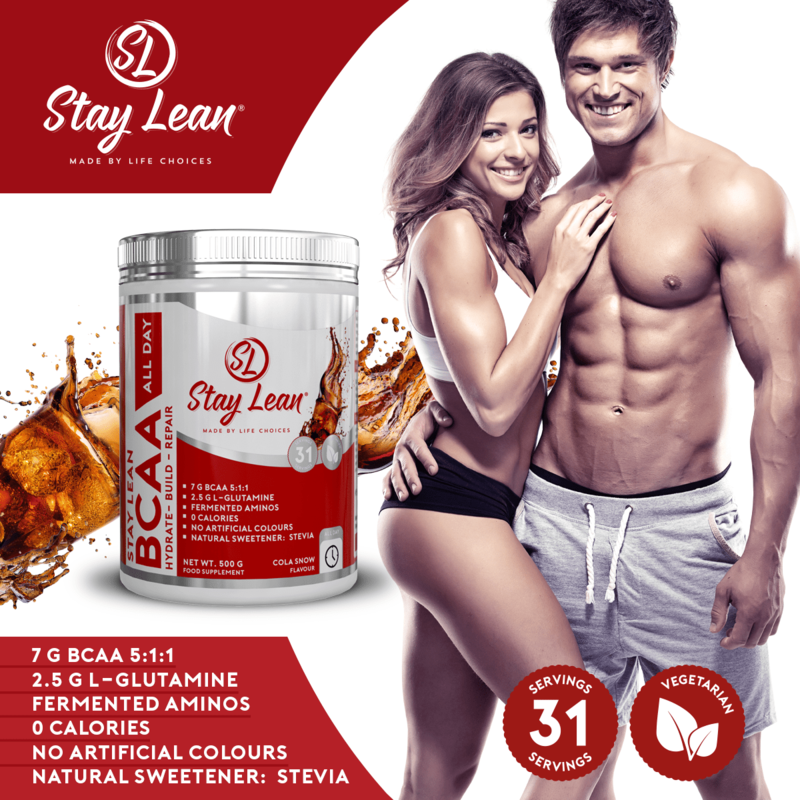 A choice of any two flavours of Stay Lean BCAA Lean or All Day along with a Stay Lean Shaker. 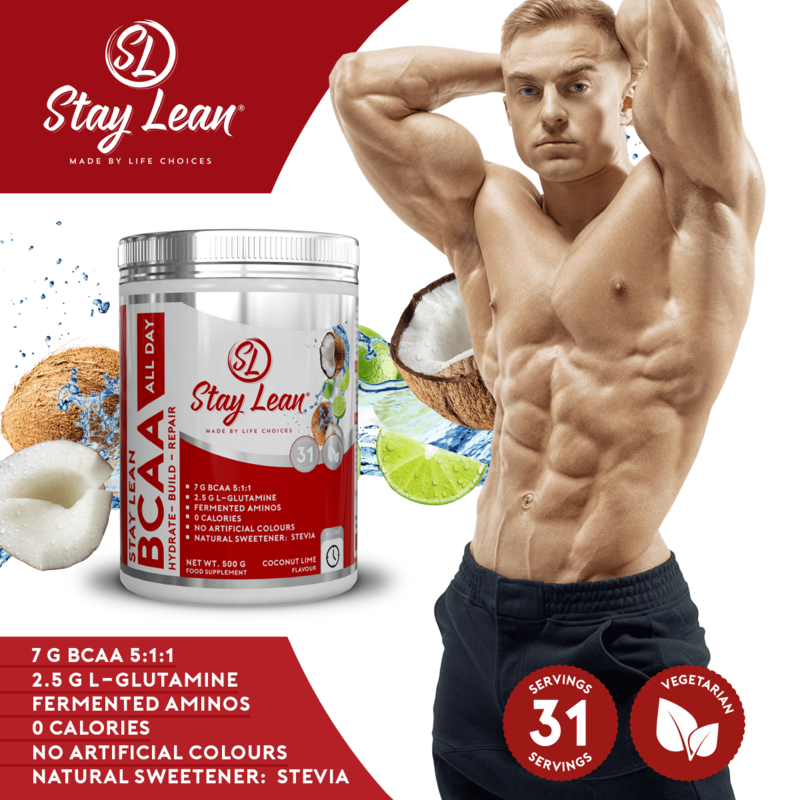 waking up after a 10 hours Fasted ,I drink the BCAA Cola flavour ,its the best taste 🙂 , I also drink it during my work out and during the day as I drink 5 litres of water a day and need a good taste .